Every day, Health Advocate helps people across the country improve their health, reduce their healthcare costs, meet health and wellness goals, and so much more. Here’s the story of one member, Rebecca, and how Health Advocate helped her manage her health conditions and quit smoking. Rebecca contacted Health Advocate with many health issues: asthma, pre-diabetes, knee issues, and weight concerns. Her Wellness Coach provided tips on changing her diet and jump-starting her exercise program, and worked with her to help her quit smoking. Rebecca also spoke with a Nurse Coach about the importance of seeing her doctor and taking her medication regularly to keep her asthma under control. Rebecca lost weight, going from 200 to 157 pounds. A smoker for 15 years, she went from smoking 30 cigarettes a day down to just one. In addition to using her inhaler, Rebecca began taking her medications and tracking her symptoms on a daily basis. She also went to see her doctor, whom she had not seen in years. To show her thanks, Rebecca traveled to Health Advocate’s office just to say “thank you” to her Coaches. Upon meeting them, she handed over her last pack of cigarettes. 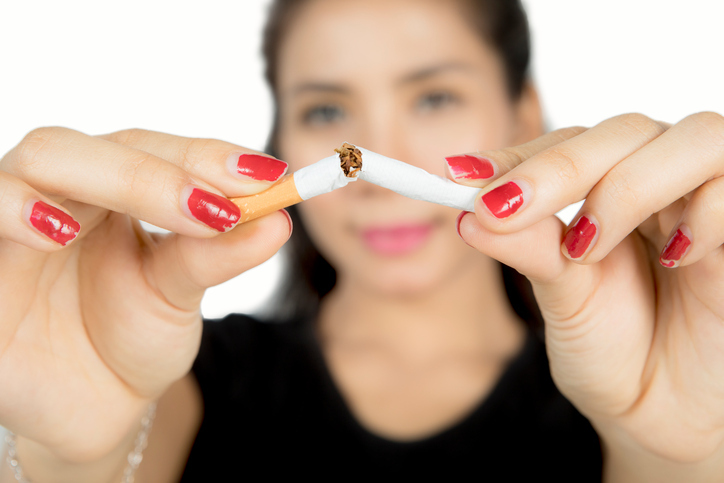 If you are a Health Advocate member with access to the wellness coaching component of our Wellness Program and you’re looking for personalized help quitting tobacco, please give us a call or log on to your member website to get started!